If you’re a safety professional, it’s been ingrained in you since you were in diapers sitting through your first OSHA 30 hr. How many times have you caught yourself in a conference room shouting, “But don’t you understand?? PPE is a last resort!”? Countless, I’d imagine, but the problem is that PPE is what people know. PPE is easy and readily available. Ask somebody what engineering or administrative controls they could have used to abate a hazard and they’ll look at you like you’re still wearing diapers (that is, assuming you’re not). For those unfamiliar with the hierarchy of controls, a tiered approach to solving problems might seem alien. Even for the initiated, some aspects of the hierarchy can be confusing. 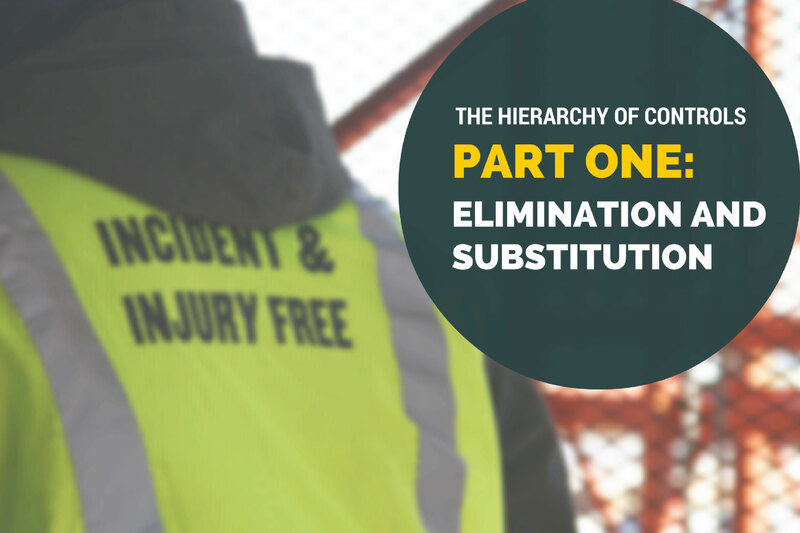 So, rather than just tell you what the hierarchy is at face value, let’s take a more in-depth look at each level, starting with two of the easier concepts: elimination and substitution. The concept of elimination is easy, because it’s as simple as it sounds. 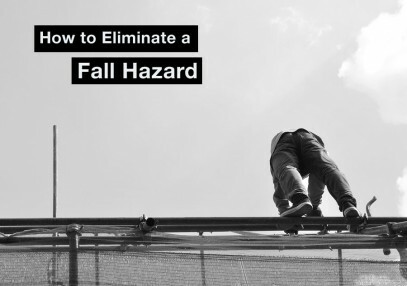 Take the hazard that your employees face and eliminate it. Done, piece of cake. Maybe not. The problem with elimination is that if the implementation of it was as simple as it sounds, everybody would be doing it, wouldn’t they? What company would not choose to completely eliminate the chance of their employees getting hurt if doing so was simple? Not many, I’d venture. In fact, according to the hierarchy of controls, if Elimination is available to an employer, it is the option they must choose. Remember, the employer has a duty to provide a workplace free of hazards to their employees. 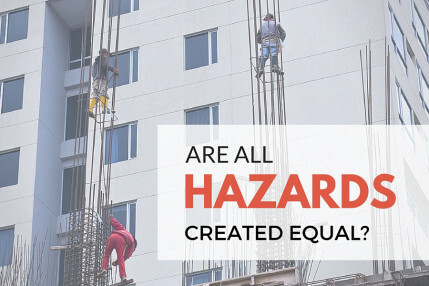 If the employer is able to do that, but chooses not to, they could be looking at a Willful violation, should an OSHA inspection occur (not to mention employee injuries and fatalities that might occur due to your failure to remove the hazard). 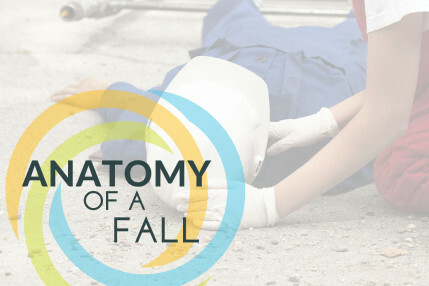 If we are talking about elimination in terms of equipment or materials, such as removing some flammable gas containers from an area where hot work is being performed or eliminating an unnecessary blade on a machine, the solution should be 100% effective, as long as there isn’t a communication breakdown that allows somebody else to reintroduce the hazard back into the workplace or process. Again, this is pretty much what it sounds like. With substitution, we are identifying a hazardous substance or piece of equipment and substituting a substance or piece of equipment that is not hazardous. For instance, instead of a solvent-based paint, use a water-based paint. Instead of sand-blasting, use a non-silica containing abrasive material. If an alternative product exists on the market, substitution can be a very effective solution. Except, there’s a reason why the hazardous versions still exist. If the substitutions were perfect, they’d force the hazardous substances off the market. So why don’t they? Well, the downfalls of substitutions tend to usually be quality and cost. Let’s take the paint example. Paint used to be almost exclusively solvent based, but solvent based paints are high in VOCs (volatile organic compounds). Over time, as VOCs were required to be reduced in solvent-based paints, other paints came on the market, such as water-based. Early on, the quality of water-based paints was inferior to solvent based, so some companies probably continued to stick with the solvent-based to ensure a better job. Unfortunately, something like that leaves a stigma and many people probably still believe to this day that solvent-based paints are superior despite the fact that with current technology, many water-based paints are not only equal to solvent-based but superior to. Regardless of quality, though, cost can still be prohibitive. Oftentimes, the production of a synthetic material costs more than the acquisition of a natural one, demand for the less hazardous version drives up its cost, or any other number of reasons that make the alternatives more expensive. It’s this industry’s equivalent of why a grilled chicken salad costs $9.99 and a burger costs $5. Cheaper usually does not mean better for you. The other downfall to substitution is just because a material does not pose the same hazard as the one you’re replacing, does not mean it doesn’t pose a hazard at all. An employer needs to do the necessary research to ensure that they are not replacing one hazard with another. After you’ve done that, keep your eyes open and come back for our next article which will discuss what is meant by “engineering controls”.